What do you think of when you hear the words business/business owners/ CEO? If we were to be honest, I imagine most of us tend to think of powerful men (and women) in their fancy offices wearing their fancy suits looking for more ways to make money. Money, of course, being their number one priority...never mind the lives of their employees or their customers. Be it true or not, this is certainly the stereotype that much of media would have us to believe. 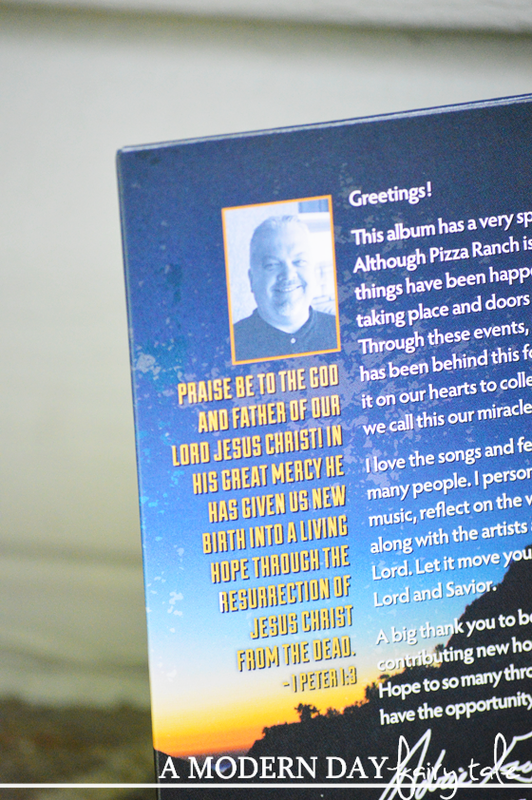 The CD will be available to purchase for $5 plus tax exclusively in Pizza Ranch restaurants or for download at pizzaranch.com/livinghope through August 31. 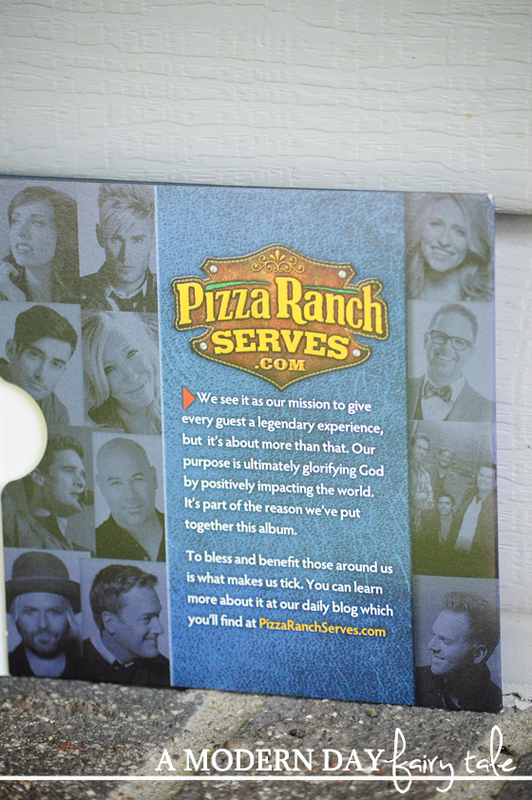 Now, unfortunately there is no Pizza Ranch in my area so I cannot try the pizza for myself, but I did get the chance to experience the CD! And I loved it! These songs certainly achieve the goal of inspiring hope, and do so beautifully. I loved hearing a fun collection of songs from some of my own personal favorites like Francesca Batistelli and Michael W. Smith that I might not have had the chance to hear otherwise. But perhaps what I loved even more was the price. When you are on a tight budget, buying CDs can be out of the budget...and I know personally, when things are not going well financially, that's truly when I could use those messages of hope the most. So, at $5, this CD is super affordable for us all! And you don't even have to live near a Pizza Ranch location to purchase. This is truly a great way to get the message of Living Hope out there, making it affordable and available to all. 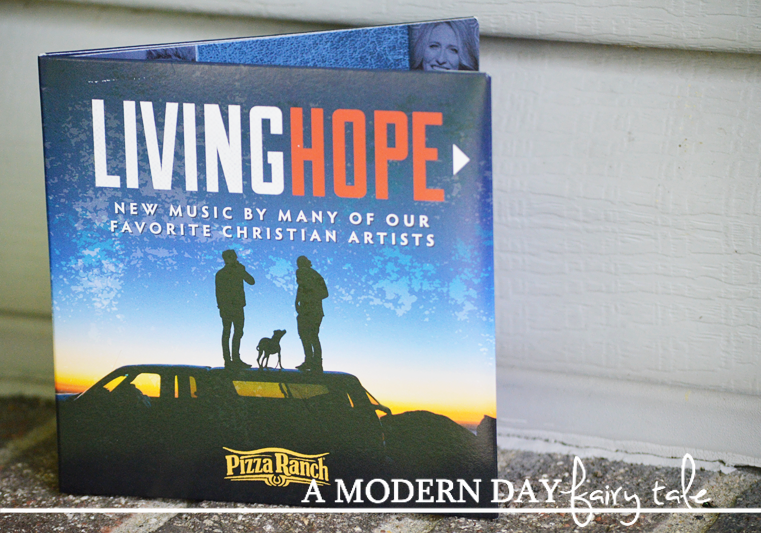 If you are a Christian music fan looking for a great selection to add to your collection, Living Hope is certainly worth checking out. You can purchase it now at pizzaranch.com/livinghope. This CD sounds so great. I would love to win this. It has all the best singers. What a great giveaway. This sounds like a great CD, I'll have to check it out.